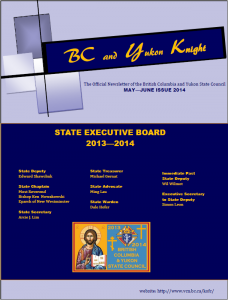 Below is a link to the BC and Yukon State Newsletter May-June 2014 Issue. by forwarding this e-mail with the attached link. will be published in August 31st. If you have any queries, please do not hesitate to e-mail me or give me a call.